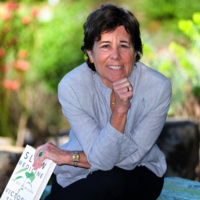 Dr. Sweet will discuss her new book, Slow Medicine: The Way to Healing. The New York Times calls it “a wonderful new memoir,” and The Atlantic writes that “anyone considering medical school, or already there, should read this book. Everyone else should, too.” What is Slow Medicine? Like Slow Food it is about process, with the way—the style and the method—by which we get to a diagnosis and a treatment, and how that way—whatever it is—affects us and changes us as much as it does our patients. Dr. Sweet is an Associate Clinical Professor of Medicine at the University of California, San Francisco, and a prize-winning historian with a Ph.D. in medical history. For over twenty years she practiced medicine at Laguna Honda Hospital in San Francisco.